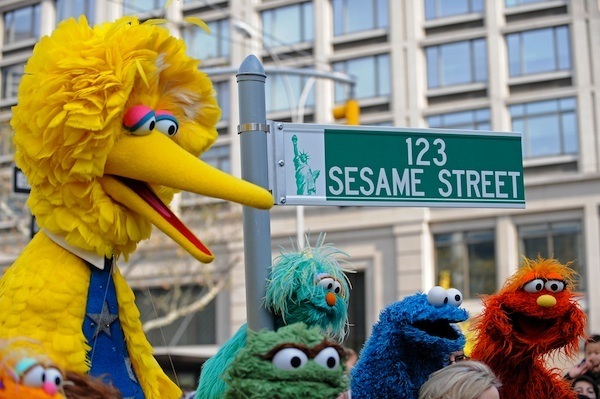 Those readers who raised toddlers in the early nineties will surely recall the image of Big Bird poised on a street corner, befuddled about his next move. 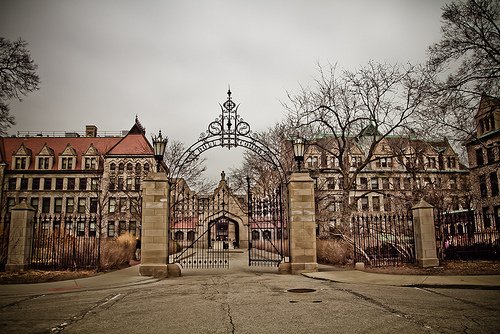 We had just delivered our younger son to the University of Chicago, where—after convocation in the Rockefeller Chapel—he'd be a proud "first year." Officially, The Kids were gone from under our roof. I'd heard all about college grads moving back in with Mom and Dad, but in the spring, our elder son had graduated from college, found a job, an apartment and roommates his own age. He was not coming back. And all weekend long, the younger one had been busily setting up his dorm room and the rest of his life. The Parents felt unsettled, even panicky. The job we'd had for 22 years had just been radically downsized, if not eliminated. I had read accounts of empty-nest syndrome, knowing for sure that I would not suffer such symptoms. I had a career I loved, and a billion interests I'd been threatening to explore as soon as I could find the time. Art classes, community theater, horseback riding, learning to row one of those sleek, cigarette-shaped sculls in the bay. Travel—to Peru! To India! To New Zealand and South Africa, but never during a School Break and certainly not during Summer Vacation. Volunteering for an organization that had nothing to do with a child's public school. Yoga classes taken at Dinner Time, if it pleased me. It occurred to me that I might have made a few tactical errors. While Child Rearing, I hadn't paid much attention to making new friends. Old friends, I had plenty of, but they were scattered all over the globe. At least where I live, moms who work long days go home at night to attend to Homework and Dinner. They rarely socialize with other moms, except in the context of a Book Group or Family Get-Together or a Couples' Evening. They don't go out to dinner or cocktails or even lunches, unless there is an important birthday, and then, everyone gets home by 9:30 for Bedtime. So no, I didn't have a social circle ready to embrace me and keep me occupied. And as my husband of nearly 25 years and I walked around the campus, admiring the careful attention to landscaping, and quad after quad filled with perfect Gothic architecture, we realized that we were missing something else—a relationship that was focused on each other, rather than on our offspring. We'd attended to them for so long—we'd known each other barely two years when our older son was born-- that we had to acknowledge that we no idea of how to attend to ourselves or each other. The convocation was a little slow, possibly because the chapel was full to overflowing and we wound up watching a video screen in a properly Gothic library, surrounded by a hundred other families. I wondered how many of them were asking themselves the same Big Bird question. I'd talked to a handful of parents who were sending off their eldest child, with younger siblings still at home. They were fine, even relieved, as I had been when my elder son left for school. But up and down the aisles, I could spot the blank faces of parents for whom this was the last stop on the child-rearing train. Bagpipes were playing mournfully when we exited. As we waved goodbye to our boy—the students went one direction, marching through an arched gate, and the parents moved toward a tented reception—I felt the wind go out of my sails. My husband and I glanced at each other. Neither of us could speak. We grabbed a cookie each at the reception and kept walking, headed north under a deep blue sky, towards the shore of Lake Michigan. We looked way, way out, amazed at the size of that vast, empty body of water. When we returned to our hotel, we looked up Big Bird's song on the Web, to see if, Back in The Day, he had responded to what had become a deeply important philosophical question. "How do you get from here to there, what do you do?" There was indeed an answer. "If you want to cross the street, my friend, here's my advice to you.... You use your feet." We had a long walk ahead of us.